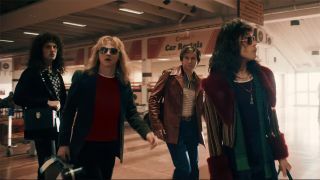 Queen biopic Bohemian Rhapsody has captured the public’s attention since it went on general release in November last year. It’s brought in an estimated £582 million globally at the box office since hitting the silver screen, scooped two Golden Globes earlier this month and has also been nominated for seven BAFTAs. And the film's success shows no signs of slowing down – as it was announced this afternoon that it’s now picked up an incredible five Oscar nominations. Bohemian Rhapsody has been nominated in the Best Picture, Best Film Editing, Best Sound Mixing and Best Sound Editing categories, while Rami Malek – who portrays iconic frontman Freddie Mercury in the film – has been shortlisted for Best Actor. It’s quite an achievement for a film that was mired in development hell for years, but the wait has clearly been worth it. Find out what Bohemian Rhapsody will be up against below. The results will be revealed at the 91st annual Academy Awards on February 24. If you haven’t managed to catch the film in cinemas, it’ll launch on DVD, Blu-ray and on 4K digital on March 4 via 20th Century Fox Home Entertainment.